Bipolar disorder is a serious psychological condition characterized by marked swings from manic to depressive episodes. During manic episodes, individuals may exhibit anxiety, increased irritability and impulsive behavior. While in a depressive state, they may have a low mood, lack of appetite and emotional indifference. In most cases, prescription antidepressants will be used to counter these symptoms but some people have also had luck with natural remedies. The major advantage to using herbs, vitamins, supplements and other natural forms of therapy is that they tend to have fewer side effects than traditional medications. That being said, just because they are natural does not necessarily mean they are safe. If they have the ability to heal, then they are also likely to be strong enough to cause damage if not taken properly. Before beginning any course of natural treatment, you should always consult with your doctor first. 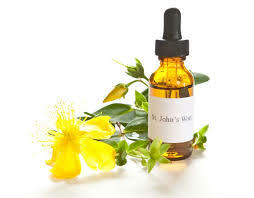 St. John’s Wort – this is probably the single most popular natural treatment for depression as it is a powerful mood enhancer. It is known to affect the body in a similar way to prescription antidepressants, and is actually available by prescription in some parts of Europe, but it may also have similar side effects. It can also interact badly with certain antidepressants and other prescription medications, so you should never take it without checking with your doctor first. Ginkgo biloba – a popular treatment for dementia, this herb is an extract of the ginkgo tree. It is believed to increase blood flow to the brain, which can improve brain function, including enhancing memory and decreasing the symptoms of depression. It is also an antioxidant that can help to rid the body of built up toxins and improve overall health. Black cohosh – this natural remedy works as a nervous system depressant and sedative, making it particularly effective during manic episodes. It is often used by people with autoimmune conditions because of its proven anti-inflammatory properties. The active ingredient in black cohosh seems to bind with estrogen, affecting hormone production in the body, which can have a direct correlation to mood swings. Rhodiola – this herb has been used to treat depression for years. It is mildly stimulating, making it a good agent in fighting the symptoms of depression. It has many of the same properties as some prescription antidepressants but without the potentially dangerous side effects, making it an attractive alternative for many patients. Omega-3 fatty acids – fish has always been known as “brain food” and with good reason. The Omega-3 fatty acids contained in fish oil have many healing properties. They are a powerful anti-inflammatory and can help regulate mood, which make them particularly effective for individuals with depression and bipolar disorder. Better still, there is more clinical evidence to support their healing properties than almost any other natural substance. In fact, studies have shown that in countries where fish is a regular part of the everyday diet, there is a markedly lower instance of bipolar disorder. Ginseng – this common herb has an energizing effect that can help to combat the extreme lethargy and fatigue that often accompany depressive episodes. Because it does act as a stimulant, it should be used with caution in bipolar individuals so that it doesn’t trigger manic episodes. Light therapy – Often, individuals with bipolar disorder suffer from a disruption to their circadian rhythms, the natural cycle that regulates when we sleep and wake. One of the best ways to “reset” this biological clock is to use light exposure. Timed exposure to periods of bright light and darkness can force a change in sleep patterns which can help to regulate symptoms. As with any natural form of therapy, you should talk to your doctor before trying this type of treatment. Meditation – Individuals who engage in regular sessions of cognitive therapy including meditation can notice a distinct change. Being able to control your stress level and find a level of calm can help to overcome symptoms of depression and stabilize your mood. These are just a few of the natural remedies that can provide a safe alternative to treatment with fewer side effects. While they can be helpful, there is no guarantee that they can completely take the place of traditional medications, so you need to discuss all forms of treatment with your doctor and work together to develop a plan of treatment that works for you.